Stephen Miller announces the January 18 global, digital release of BEHOLD, a new full-length album boasting his strongest lyrical offering to date carried on the wings of fresh ambient grit and soaring singalong melodies. BEHOLD isn’t a happy-clappy cheerleader worship record - but it is full of joy. Realistic hope pours forth from every note and rhythm. And while every line reaches with longing, each equally soars with the truth of the beauty of the Gospel. 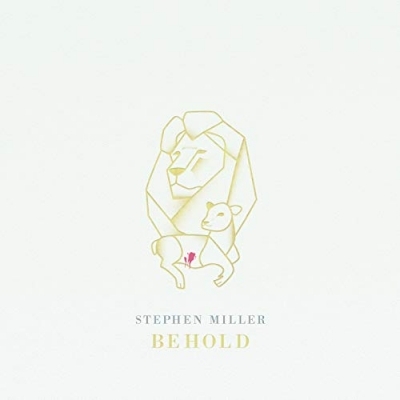 Stephen Miller is a pastor and artist who strives to enlarge people’s view of God with the truth of Scripture and artfully provide a vocabulary to express thankfulness and praise to Him. He is a passionate advocate for the local church and travels all over the world to preach and lead worship with his band for various conferences, concerts, and more. Stephen has recorded five other studio albums, and is the author of Worship Leaders, We Are Not Rock Stars and Liberating King. He and his wife, Amanda, live in San Antonio with their 7 children.